During the Civil War, natural resources such as salt, lead, and iron were highly prized commodities in the Confederacy. The government relied especially on small rural ironworks to manufacture cannons, swords, and firearms. Ruben White first mined iron ore in this area in the 1780s. By 1860, the Cranberry Iron Corporation operated a bloomer forge on Cranberry Creek. Jordan C. Hardin ran the mine, and his father, John Hardin, was the local postmaster. In a bloomer, burning charcoal melted the iron from the ore. Workers used an iron bar to stir and gather the resulting mass, which was carried to the forge and hammered to drive out impurities, and then further hammered into flat bars of iron. 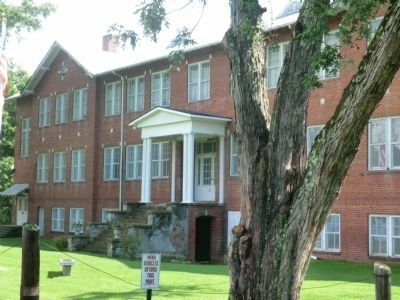 Forty to sixty men were employed at Cranberry during the war, mining ore and forging iron for the Confederacy. 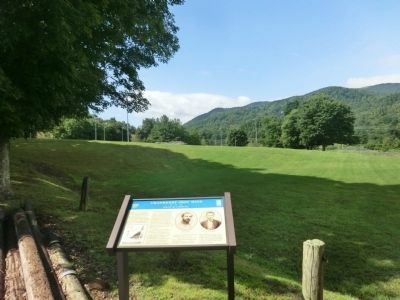 Once a month, the bar iron was loaded in a wagon, and Peter Hardin, a local slave, drove the wagon down the mountain to Camp Vance, near Morganton. There, the iron was loaded on a train and transported to foundries throughout the South that produced munitions for the war effort. hands several times. Former Confederate Gen. Robert F. Hoke owned the operations for several years, and he and his associates incorporated the Cranberry Iron and Coal Company in 1873. The mine was worked sporadically through the first half of the twentieth century. Major funding for this project was provided by the North Carolina Department of Transportation through the Transportation Enhancement Program of the Federal Transportation Efficiency Act for the 21st Century. Location. 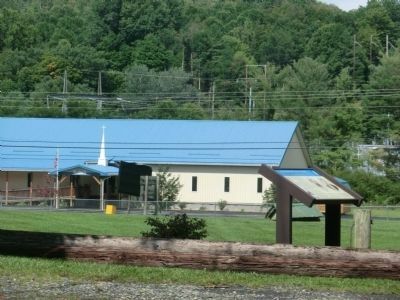 36° 9.093′ N, 81° 57.786′ W. Marker is in Elk Park, North Carolina, in Avery County. Marker can be reached from the intersection of Elk Park Highway (State Highway 194) and U.S. 19E, on the right when traveling east. Touch for map. 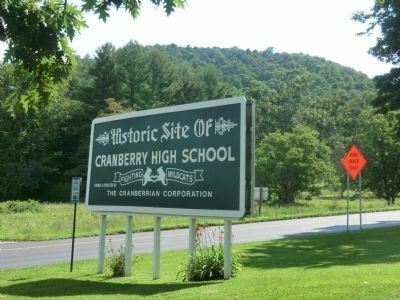 The marker is located on the grounds of the Historic Site of Cranberry High School. Marker is in this post office area: Elk Park NC 28622, United States of America. Touch for directions. marker, measured as the crow flies. Cranberry Mines (within shouting distance of this marker); Lees-McRae College (approx. 5 miles away); Shepherd M. Dugger (approx. 5 miles away); Banner Elk (approx. 5.2 miles away); Overmountain Men (approx. 5.4 miles away); Yellow Mountain Road (approx. 6.7 miles away); A Woman of War (approx. 7½ miles away); Asa Gray (approx. 8 miles away). More. 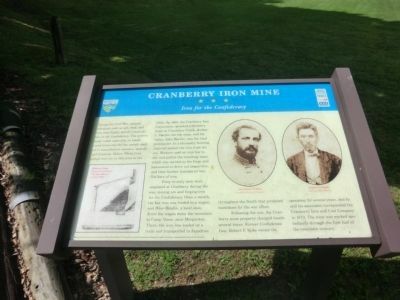 Search the internet for Cranberry Iron Mine. Credits. This page was last revised on June 16, 2016. This page originally submitted on September 26, 2014, by Don Morfe of Baltimore, Maryland. This page has been viewed 556 times since then and 12 times this year. Photos: 1, 2, 3, 4, 5. submitted on September 26, 2014, by Don Morfe of Baltimore, Maryland. • Bernard Fisher was the editor who published this page.